California’s involvement in the American Civil War remains one of the great hidden facets of that conflict. Many amateur historians and journalists in recent years have published articles in magazines or on the Internet discussing alleged Civil War events across California between 1862 and 1865. This presentation combines all documented events into one forum for a clear, concise and complete operational picture of what happened within the state during the last four years of the war. In hindsight, none of these events has any connection with the war. However, at that time they were so considered and reflect California’s involvement in the great struggle to preserve the Union. The story ends with the post-war return of Regular Army regiments. This presentation omits discussion of the various Indian Wars and preparation for war with France to focus on alleged Civil War-related events. Omitted parts are part of the California wartime experience, but excluded due to time constraint. They are listed above simply to offer a complete outline of wartime military events within the state during the war. Bob Burch is a native Californian, born and raised in Santa Clara County. He is also a lifetime student of the Civil War. He had the opportunity to visit many Civil War sites from Florida to Pennsylvania to New Mexico during his 30 year military career. Like many California CWRT members, he desires to understand his home state’s role in the war. He started collecting material for this presentation ten years ago and initiated a serious study 15 months ago. This series documents his research in great detail. Time allows only a few key points from each slide to be presented. 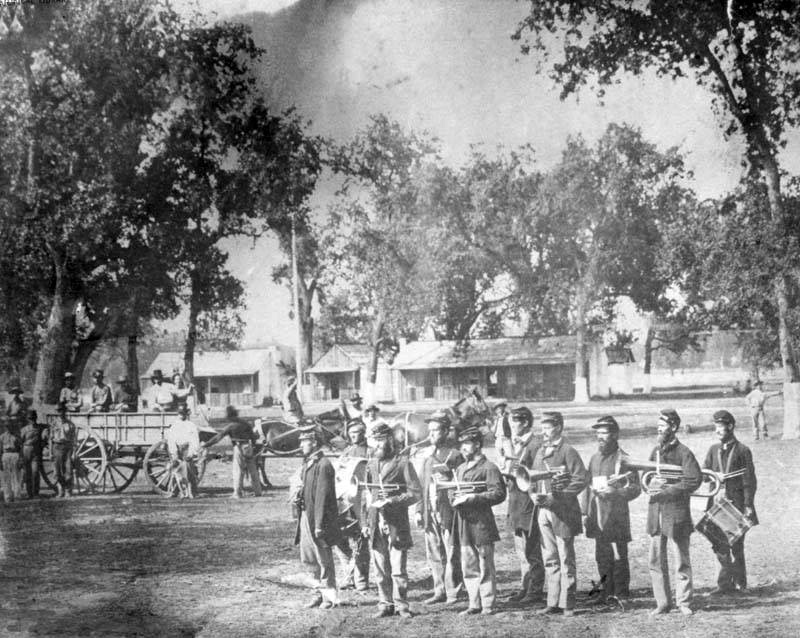 Numerous period photographs and magazine drawings are included for visual effect with the intent of comprehending California’s role in the Civil War. This entry was posted in Meeting archive on September 25, 2018 by hlj.